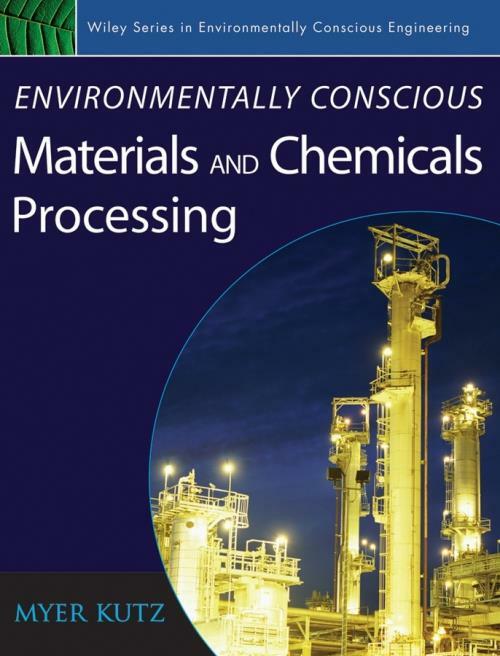 The third volume of the Wiley Series in Environmentally Conscious Engineering, Environmentally Conscious Materials and Chemicals Processing, offers state–of–the–science approaches for planning, designing, and implementing environmentally friendly material and chemical processing systems. The logical organization guides you through every stage, from evaluating environmental hazards of industrial materials and chemicals through to assessing the economics of environmental improvement projects. Based on their hands–on field experience, this volume′s team of leading experts discusses a broad range of industrial materials, including metals, chemicals, plastics, building, and packaging materials. Coverage includes not only the extraction, production, and recycling of metals, but also methods for reducing waste and preventing pollution in chemical plants. engineering principles, and tables provide at–a–glance summaries of key data. Finally, end–of–chapter references enable you to investigate individual topics in greater depth. 3. Life–cycle Evaluation of Chemical Processing Plants (David Brennan). 6. Reverse production Systems: Production from Waste materials (I–Hsuan Hong, Jane C. Ammons and Mathew J. Realff). 7. Environmental Life–cycle Analysis of Alternative Building Materials (Bruce Lippke and Jim L. Bowyer). 10. Aqueous Processing for Environmental Protection (Fiona M. Doyle and Gretchen Lapidus–Lavine).